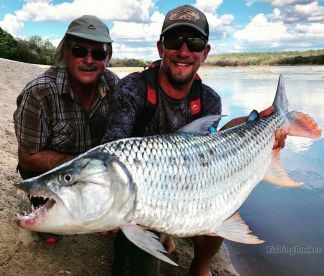 Perhaps Humongous Crocodilefish was too long of a name, in which case Goliath Tigerfish will have to do. This is easily one of the scariest water dwellers in the world and, quite possibly, the most powerful freshwater fish one can target... Unless one becomes its target first. 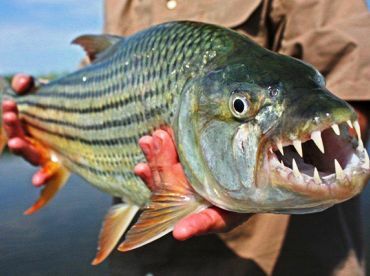 With 32 inch-long teeth in that terrifying jaw, it's clear that Goliath Tigerfish was built to be a killing machine. It will attack every living being, no matter the size - this acounts for reports of attacks on humans, a 60lbs Catfish and smaller crocodiles. Tigerfish can reach a length of 5ft and a weight of over 150lbs, though such sizes are yet to be officially recorded. Catches average between 5 and 15lbs. The species is native to the Congo River basin, including Lualaba River, Tanganyika and Upemba Lakes. 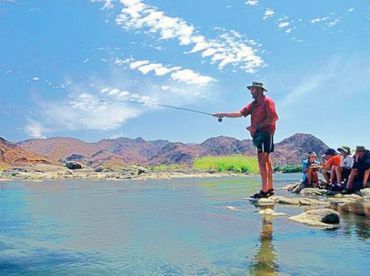 They like strong currents, which can render some smaller fish vulnerable to attack when they're trying to overpower the waterflow. 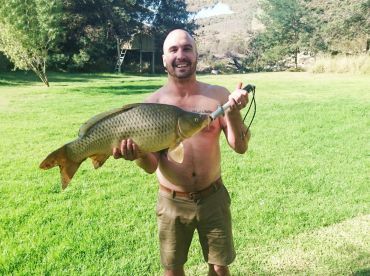 The Goliath Tigerfish will take any bait, natural or artificial. 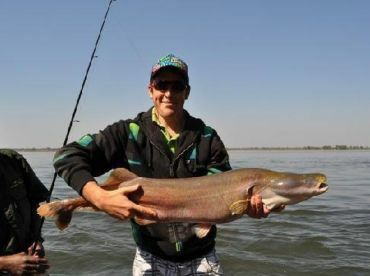 It will jump out of the water repeatedly when hooked and thrash its head trying to throw the hook. Wire leaders are a must due to the sharp teeth. 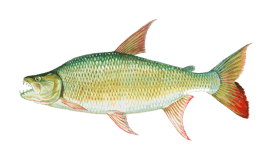 It is good eating, with white flesh tasting similar to bream, but should be released due to its poor reproductive capabilities.